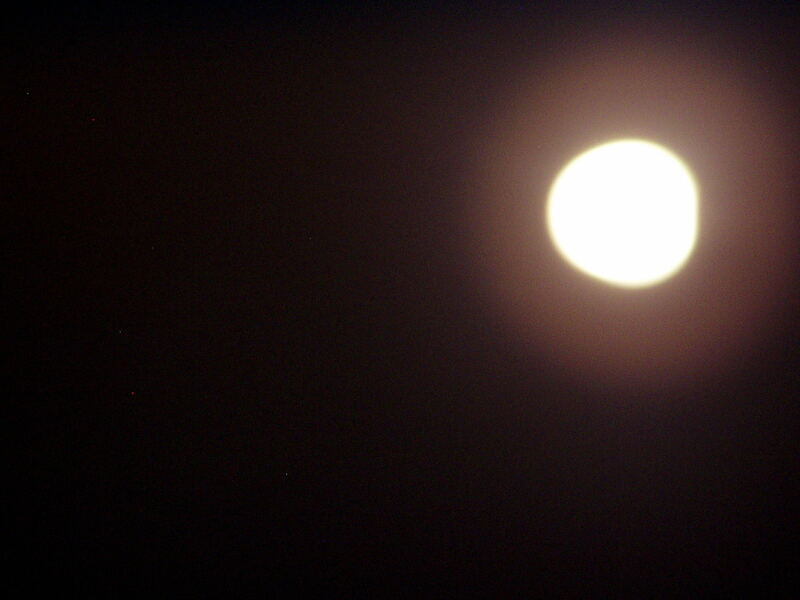 It’s a full moon tonight, but as it has been storming off and on since about 4pm, I doubt whether it will be visible. That makes me extra glad that I got some photos last night. I’ve been wondering if I’ll be able to see full moons from my new apartment balcony, and sure enough, the answer is “yes”. 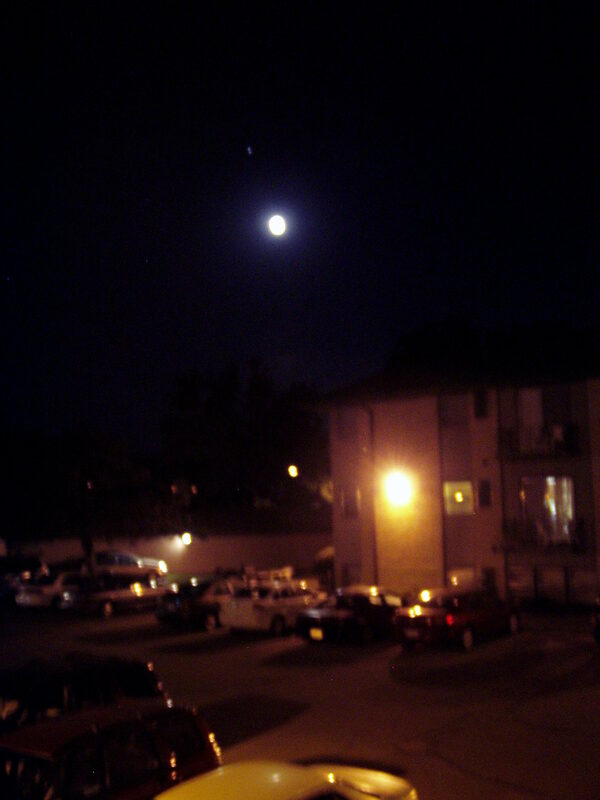 Full moon, light someone’s way. LOVE the full moon pictures and the poem. 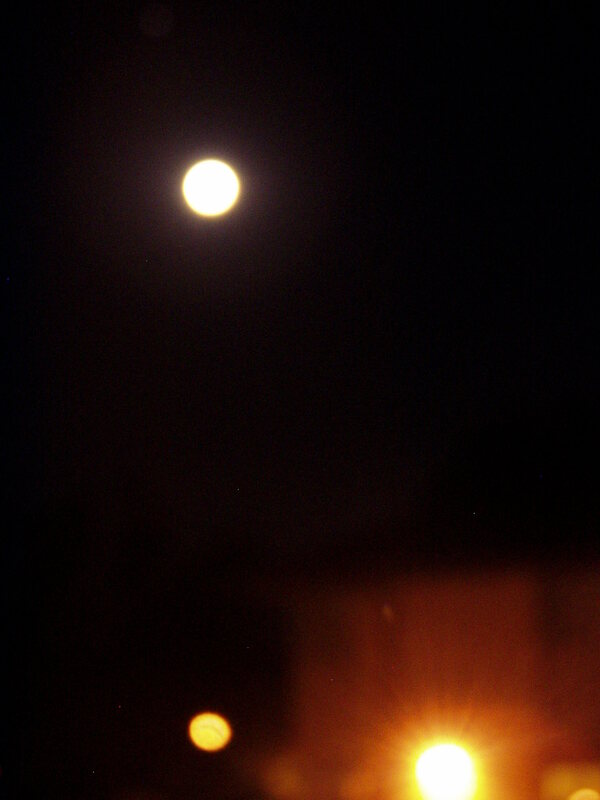 Nothing like a full moon, huh? It’s so beautiful and I can never capture it on camera. Probably don’t have the right kind of camera. Thinking of you packing for your trip to Poland. Post pictures while you’re there… pretty please? Hugs.